LiquiCell Nasal CPAP Cushions cover the troublesome nasal bridge area during CPAP & BiPAP therapy. The ultra-thin, liquid-filled LiquiCell cushion contours to the nose and face to provide an almost invisible layer of protection, support and comfort. 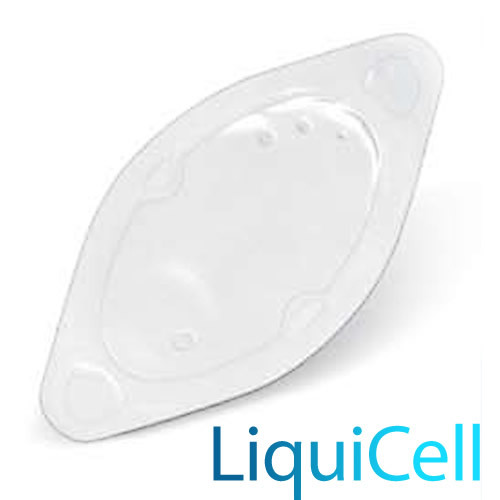 The LiquiCell Nasal Cushions help reduce reds marks and discomfort when using Nasal Masks. The cushions help to alleviate skin irration and to reduce pressure on the bridge of the nose.The self-adhesive cushion can be applied directly to the bridge of the nose, where most of the mask friction occurs.